I work in a Day Camp and it's all girls. One of our fun activities we like to do is designing outfits and showing them off to our friends. 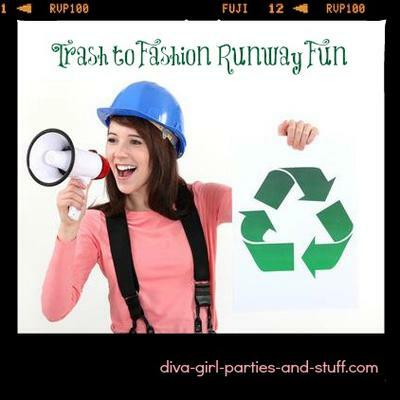 We don't make just any ordinary outfit, we make clothes out of craft supplies and old recycled papers and boxes! Anything that's lying around... the girls will find a way to wear it! They love this activity especially when they walk the runway afterward. It's a great opportunity for them to be creative and make friends!